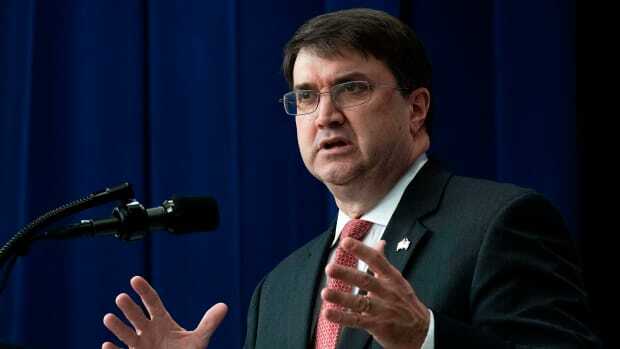 United States Secretary of Veterans Affairs Robert Wilkie. For years, conservatives have assailed the United States Department of Veterans Affairs as a dysfunctional bureaucracy. They said private enterprise would mean better, easier-to-access health care for veterans. President Donald Trump embraced that position, enthusiastically moving to expand the private sector&apos;s role. Here&apos;s what has actually happened in the four years since the government began sending more veterans to private care: longer waits for appointments and, a new analysis of VA claims data by ProPublica and PolitiFact shows, higher costs for taxpayers. The winners have been two private companies hired to run the program, which began under the Obama administration and is poised to grow significantly under Trump. ProPublica and PolitiFact obtained VA data showing how much the agency has paid in medical claims and administrative fees for the Choice Program. Since 2014, the two companies have been paid nearly $2 billion for overhead, including profit. That&apos;s about 24 percent of the companies&apos; total program expenses—a rate that would exceed the federal cap that governs how much most insurance plans can spend on administration in the private sector. According to the agency&apos;s inspector general, the VA was paying the contractors at least $295 every time it authorized private care for a veteran. The fee was so high because the VA hurriedly launched the Choice Program as a short-term response to a crisis. Four years later, the fee never subsided—it went up to as much as $318 per referral. "This is what happens when people try and privatize the VA," Senator Jon Tester of Montana, the ranking Democrat on the Senate veterans committee, said in a statement responding to these findings. "The VA has an obligation to taxpayers to spend its limited resources on caring for veterans, not paying excessive fees to a government contractor. When VA does need the help of a middleman, it needs to do a better job of holding contractors accountable for missing the mark." The Affordable Care Act prohibits large group insurance plans from spending more than 15 percent of their revenue on administration, including marketing and profit. The private sector standard is 10 percent to 12 percent, according to Andrew Naugle, who advises health insurers on administrative operations as a consultant at Milliman, one of the world&apos;s largest actuarial firms. Overhead is even lower in the Department of Defense&apos;s Tricare health benefits program: only 8 percent last year. Even excluding the costs of setting up the new program, the Choice contractors&apos; overhead still amounts to 21 percent of revenue. "That&apos;s just unacceptable," Rick Weidman, the policy director of Vietnam Veterans of America, said in response to the figures. "There are people constantly banging on the VA, but this was the private sector that made a total muck of it." Trump&apos;s promises to veterans were a central message of his campaign. 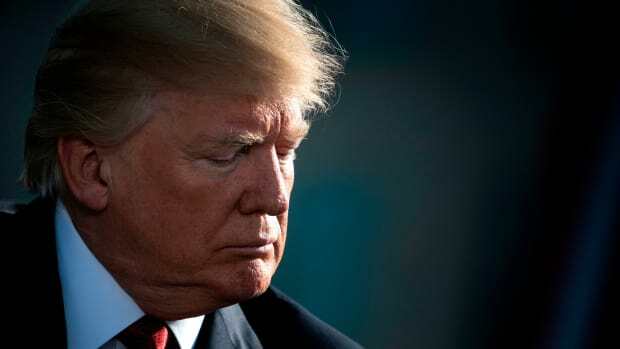 But his plans to shift their health care to the private sector put him on a collision course with veterans groups, whose members generally support the VA&apos;s medical system and don&apos;t want to see it privatized. The controversy around privatization, and the outsize influence of three Trump associates at Mar-a-Lago, has sown turmoil at the VA, endangering critical services from paying student stipends to preventing suicides and upgrading electronic medical records. One of the contractors, Health Net, stopped working on the program in September. Health Net didn&apos;t respond to requests for comment. The other contractor, TriWest Healthcare Alliance, said it has worked closely with the VA to improve the program and has made major investments of its own. "We believe supporting VA in ensuring the delivery of quality care to our nation&apos;s veterans is a moral responsibility, even while others have avoided making these investments or have withdrawn from the market," the company said in a statement. TriWest did not dispute ProPublica and PolitiFact&apos;s estimated overhead rate, which used total costs, but suggested an alternate calculation, using an average cost, that yielded a rate of 13 percent to 15 percent. The company defended the $295-plus fee by saying it covers "highly manual" services such as scheduling appointments and coordinating medical files. Such functions are not typically part of the contracts for other programs, such as the military&apos;s Tricare. But Tricare&apos;s contractors perform other duties, such as adjudicating claims and monitoring quality, that Health Net and TriWest do not. In a recent study comparing the programs, researchers from the Rand Corporation concluded that the role of the Choice Program&apos;s contractors is "much narrower than in the private sector or in Tricare." Because of what the GAO called the contractors&apos; "inadequate" performance, the VA increasingly took over doing the Choice Program&apos;s referrals and claims itself. In many cases, the contractors&apos; $295-plus processing fee for every referral was bigger than the doctor&apos;s bill for services rendered, the analysis of agency data showed. In the three months ending January 31st, 2018, the Choice Program made 49,144 referrals for primary care totaling $9.9 million in medical costs, for an average cost per referral of $201.16. A few other types of care also cost less on average than the handling fee: chiropractic care ($286.32 per referral) and optometry ($189.25). There were certainly other instances where the medical services cost much more than the handling fee: TriWest said its average cost per referral was about $2,100 in the past six months. Beyond what the contractors were entitled to, audits by the VA inspector general found that they overcharged the government by $140 million from November of 2014 to March of 2017. Both companies are now under federal investigation arising from these overpayments. Health Net&apos;s parent company, Centene, disclosed a Department of Justice civil investigation into "excessive, duplicative or otherwise improper claims." A federal grand jury in Arizona is investigating TriWest for "wire fraud and misused government funds," according to a court decision on a subpoena connected to the case. Both companies said they are cooperating with the inquiries. 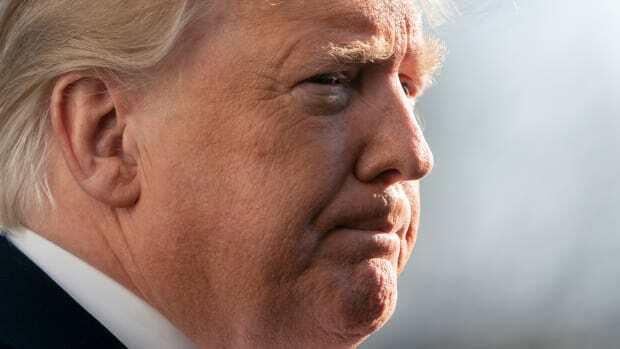 Despite the criminal investigation into TriWest&apos;s management of the Choice Program, the Trump administration recently expanded the company&apos;s contract without competitive bidding. Now, TriWest stands to collect even more fees as the administration prepares to fulfill Trump&apos;s campaign promise to send more veterans to private doctors. 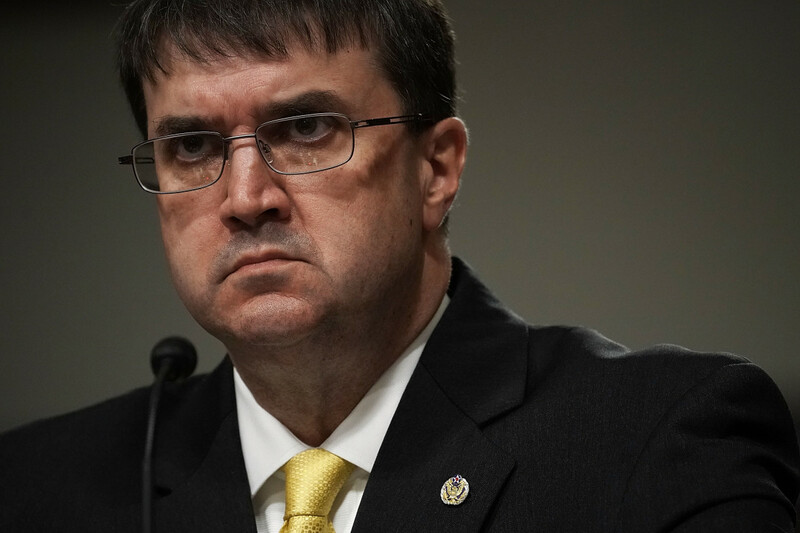 Senate veterans committee chairman Johnny Isakson (R-Georgia) said he expects VA Secretary Robert Wilkie to discuss the agency&apos;s plans for the future of private care when he testifies at a hearing. A spokeswoman for the outgoing chairman of the House veterans committee, Phil Roe (R-Tennessee), didn&apos;t respond to requests for comment. "The last thing we need is to have funding for VA&apos;s core mission get wasted," Representative Mark Takano, a California Democrat who will become the House panel&apos;s chairman in January, said in a statement. "I will make sure Congress conducts comprehensive oversight to ensure that our veterans receive the care they deserve while being good stewards of taxpayer dollars." Many of the Choice Program&apos;s defects trace back to its hasty launch. One of the loudest voices demanding changes was John McCain&apos;s. "Make no mistake: This is an emergency," the Arizona senator, who died in August, said at the time. McCain struck a compromise with Democrats to open up private care for veterans who lived at least 40 miles from a VA facility or would have to wait at least 30 days to get an appointment. In the heat of the scandal, Congress gave the VA only 90 days to launch Choice. 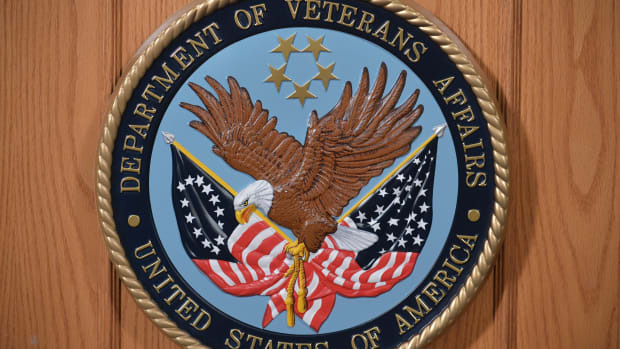 The VA reached out to 57 companies about administering the new program, but the companies said they couldn&apos;t get the program off the ground in just three months, according to contracting records. So the VA tacked the Choice Program onto existing contracts with Health Net and TriWest to run a much smaller program for buying private care. "There is simply insufficient time to solicit, evaluate, negotiate and award competitive contracts and then allow for some form of ramp-up time for a new contractor," the VA said in a formal justification for bypassing competitive bidding. But that was a shaky foundation on which to build a much larger program, since those earlier contracts were themselves flawed. In a 2016 report, the VA inspector general said officials hadn&apos;t followed the rules "to ensure services acquired are based on need and at fair and reasonable prices." The report criticized the VA for awarding higher rates than one of the vendors proposed. The new contract with the VA was a lifeline for TriWest. Its president and chief executive officer, David J. McIntyre Jr., was a senior aide to McCain in the mid-1990s before starting the company, based in Phoenix, to handle health benefits for the military&apos;s Tricare program. In 2013, TriWest lost its Tricare contract and was on the verge of shutting down. Thanks to the VA contract, TriWest went from laying off more than a thousand employees to hiring hundreds. McIntyre&apos;s annual compensation, according to federal contracting disclosures, is $2.36 million. He declined to be interviewed. In a statement, TriWest noted that the original contract, for the much smaller private care program, had been competitively awarded. The VA paid TriWest and Health Net $300 million upfront to set up the new Choice program, according to the inspector general&apos;s audit. But that was dwarfed by the fees that the contractors would collect. Previously, the VA paid the companies between $45 and $123 for every referral, according to the inspector general. But for the Choice Program, TriWest and Health Net raised their fee to between $295 and $300 to do essentially the same work on a larger scale, the inspector general said. Even though the whole point of the Choice Program was to avoid 30-day waits in the VA, a convoluted process made it hard for veterans to see private doctors any faster. Getting care through the Choice Program took longer than 30 days 41 percent of the time, according to the inspector general&apos;s estimate. The GAO found that, in 2016, using the Choice Program could take as long as 70 days, with an average of 50 days. Curtis Thompson, of Kirkland, Washington, said he&apos;s been told the Choice Program had a 30-day wait just to process referrals, never mind to book an appointment. "Bottom line: Wait for the nearly 60 days to see the rheumatologist at the VA rather than opt for an unknown delay through Veterans Choice," he said. After Thompson used the Choice Program in 2018 for a sinus surgery that the VA couldn&apos;t perform within 30 days, the private provider came after him to collect payment, according to documentation he provided. Thousands of veterans have had to contend with bill collectors and credit bureaus because the contractors failed to pay providers on time, according to the inspector general. Doctors have been frustrated with the Choice Program too. The inspector general found that 15 providers in North Carolina stopped accepting patients from the VA because Health Net wasn&apos;t paying them on time. The VA shares the blame, since it fell behind in paying the contractors, the inspector general said. TriWest claimed the VA at one point owed the company $200 million. According to the inspector general, the VA&apos;s pile of unpaid claims peaked at almost 180,000 in 2016 and was virtually eliminated by the end of the year. The VA tried to tackle the backlog of unpaid doctors, but it had a problem: The agency didn&apos;t know who was performing the services arranged by the contractors. That&apos;s because Health Net and TriWest controlled the provider networks, and the medical claims they submit to the VA do not include any provider information. The contractors&apos; role as middlemen created the opportunity for payment errors, according to the inspector general&apos;s audit. The inspector general found 77,700 cases where the contractors billed the VA for more than they paid providers and pocketed the difference, totaling about $2 million. The inspector general also identified $69.9 million in duplicate payments and $68.5 million in other errors. TriWest said it has worked with the VA to correct the payment errors and set aside money to pay back. The company said it&apos;s waiting for the VA to provide a way to refund the confirmed overpayments. "We remain ready to complete the necessary reconciliations as soon as that process is formally approved," TriWest said. The grand jury proceedings involving TriWest are secret, but the investigation became public because prosecutors sought to obtain the identities of anonymous commenters on the jobs website Glassdoor.com who accused TriWest of "mak[ing] money unethically off of veterans/VA." Glassdoor fought the subpoena but lost, in November of 2017. The court&apos;s opinion doesn&apos;t name TriWest, but it describes the subject of the investigation as "a government contractor that administers veterans&apos; healthcare programs" and quotes the Glassdoor reviews about TriWest. The federal prosecutor&apos;s office in Arizona declined to comment. "TriWest has cooperated with many government inquiries regarding VA&apos;s community care programs and will continue to do so," the company said in its statement. "TriWest must respect the government&apos;s right to keep those inquiries confidential until such time as the government decides to conclude the inquiry or take any actions or adjust VA programs as deemed appropriate." "We were making adjustments on the fly trying to get it to work," said David Shulkin, who led the VA&apos;s health division starting in 2015. "There needed to be a more holistic solution." Officials decided in 2016 to design new contracts that would change the fee structure and re-absorb some of the services that the VA had outsourced to Health Net and TriWest. The department secretary at the time, Bob McDonald, concluded the VA needed to handle its own customer service, since the agency&apos;s reputation was suffering from TriWest&apos;s and Health Net&apos;s mistakes. Reclaiming those functions would have the side effect of reducing overhead. The new contracts, called the Community Care Network, also aimed to reduce overhead by paying the contractors based on the number of veterans they served per month, rather than a flat fee for every referral. To prevent payment errors like the ones the inspector general found, the new contracts sought to increase information-sharing between the VA and the contractors. The VA opened bidding for the new Community Care Network contracts in December of 2016. TriWest&apos;s chief executive officer, McIntyre, objected to this workaround and blamed the VA for hurting his bottom line. In a February 26th, 2018, email with the subject line "Heads Up... Likely Massive and Regrettable Train Wreck Coming!" 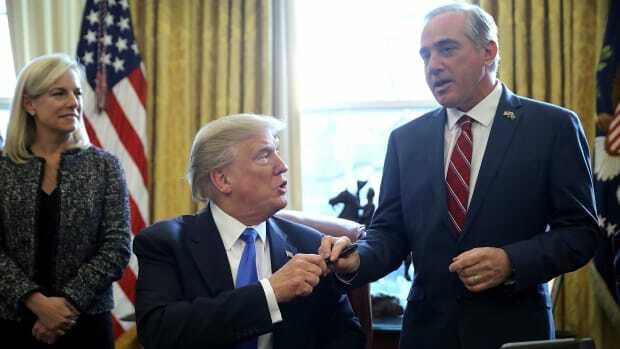 McIntyre warned Shulkin, then the department secretary, that "long unresolved matters with VA and current behavior patterns will result in a projected $65 million loss next year. This is on top of the losses that we have amassed over the last couple years." Officials were puzzled that, despite all the VA was paying TriWest, McIntyre was claiming he couldn&apos;t make ends meet, according to agency emails provided to ProPublica and PolitiFact. McIntyre explained that he wanted the VA to waive penalties for claims that lacked adequate documentation and to pay TriWest an administrative fee on canceled referrals and no-show appointments, even though the VA read the contract to require a fee only on completed claims. In a March letter to key lawmakers, McIntyre said the VA&apos;s practice of bypassing the contractors and referring patients directly to providers "has resulted in a significant drop in the volume of work and is causing the company irreparable financial harm." McIntyre claimed the VA owed TriWest $95 million and warned of a "negative impact on VA and veterans that will follow" if the agency didn&apos;t pay. Any disruptions at TriWest, he said, would rebound onto the VA, "given how much we are relied on by VA at the moment and the very public nature of this work." But when the VA asked to see TriWest&apos;s financial records to substantiate McIntyre&apos;s claims, the numbers didn&apos;t add up, according to agency emails. McIntyre&apos;s distress escalated in March, as the Choice Program was running out of money and lawmakers were locked in tense negotiations over its future. McIntyre began sending daily emails to the VA officials in charge of the Choice Program seeking updates and warning of impending disaster. "I don&apos;t think the storm could get more difficult or challenging," he wrote in one of the messages. "However, I know that I am not alone nor that the impact will be confined to us." McIntyre lobbied for a bill to permanently replace Choice with a new program consolidating all of the VA&apos;s methods of buying private care. TriWest even offered to pay veterans organizations to run ads supporting the legislation, according to emails discussing the proposal. Congress overwhelmingly passed the law (named after McCain) in May. 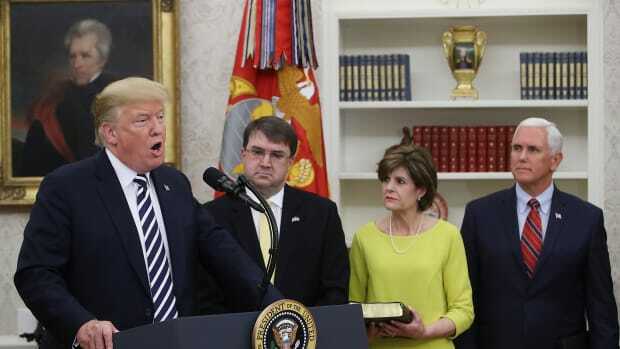 "In the campaign, I also promised that we would fight for Veterans Choice," Trump said at the signing ceremony in June. "And before I knew that much about it, it just seemed to be common sense. It seemed like if they&apos;re waiting on line for nine days and they can&apos;t see a doctor, why aren&apos;t they going outside to see a doctor and take care of themselves, and we pay the bill? It&apos;s less expensive for us, it works out much better, and it&apos;s immediate care." The new permanent program for buying private care will take effect in June of 2019. The VA&apos;s new and improved Community Care Network contracts were supposed to be in place by then. But the agency repeatedly missed deadlines for these new contracts and has yet to award them. The VA has said it&apos;s aiming to pick the contractors for the new program in January and February. Yet even if the VA meets this latest deadline, the contracts include a one-year ramp-up period, so they won&apos;t be ready to start in June. That means TriWest will by default become the sole contractor for the new program. The VA declined to renew Health Net&apos;s contract when it expired in September. The VA was planning to deal directly with private providers in the regions that Health Net had covered. But the VA changed course and announced that TriWest would take over Health Net&apos;s half of the country. The agency said TriWest would be the sole contractor for the entire Choice Program until it awards the Community Care Network contracts. "There&apos;s still not a clear timeline moving forward," said Giddens, the former VA contracting executive. "They need to move forward with the next program. The longer they stay with the current one, and now that it&apos;s down to TriWest, that&apos;s not the best model." This post originally appeared on ProPublica as "The VA&apos;s Private Care Program Gave Companies Billions and Vets Longer Waits" and is republished here under a Creative Commons license. Isaac Arnsdorf covers politics, influence, and the Trump administration for ProPublica. Jon Greenberg is a staff writer with PolitiFact. In what has become a staple of this administration, infighting, backstabbing, and lack of leadership is plaguing potential legislative progress within the VA.